Deepika Padukone and Irrfan Khan in Piku is just one of the unusual pairings we shall see on screen this year. There are some other fresh casting choices that should demonstrate smoking chemistry on screen. Sonam Kapoor romances three men a�� Varun Sharma, Rajkummar Rao and Pulkit Samrat in Dolly Ki Doli. Jacqueline Fernandes romances Arjun Rampal and Ranbir Kapoor in Roy. Amitabh Bachchan and Dhanush pair up in Shamitabh. Siddharth Malhotra and Askhay Kumar explore the dark side of a bromance, in Brothers. Sunny Leone heats things up with Tusshar Kapoor and Vir Das in Mastizaade, and Anushka Sharma goes on the road with Neil Bhoopalam. Abhishek Bachchan teams up with Asin in All Is Well, Shah Rukh Khan plays a fan in Fan, along with Ileana Da��Cruz and Vaani Kapoor, and Salman Khan is Prem opposite Sonam Kapoor in Prem Ratan Dhan Payo. This is in addition to the many bestselling couples: Ranveer Singh and Deepika Padukone, Salman Khan and Kareena Kapoor, Ranbir Kapoor and Katrina Kaif and Vidya Balan and Emraan Hashmi. Vicky Donor and Madras CafA� director, Shoojit Sircar, is on a roll. Even before he has finished Piku, starring Amitabh Bachchan and Deepika Padukone as father and daughter (and also featuring Irrfan Khan) his next film has already been announced. Sircar will be helming 1911, a sports film based on the true story of Calcutta team Mohun Bagana��s win against an English football club in that year.A� John Abraham, who will co-produce the film, is a well-known fan of the sport and also an Indian Super League football team owner. It seems the club, North East United FC, its coaches and perhaps even the players, will be roped in for the training and pre-production of the film, which is expected to start shooting later this year. As for Piku, the slice-of-life story about the rollercoaster relationship between a father and a daughter, it is slated to release in April. Rahul Khanna, last seen in the independent drama Fireflies, has set up base in USA as he shoots the period drama television series, The Americans. Khanna plays an Oxford-educated Pakistani intelligence officer in the ongoing series about two Soviet intelligence officers posing as a married couple to spy on the US government. Khanna, who was also seen in the Indian adaptation of 24, is looking forward to reactions to his role as Yousaf Rana, when the third season of The Americans premieres on Indian television at the same time as the US premiere later this month. of ad filmmaker Amit Sharma. Sonakshi Sinha and Manoj Bajpayee also star in the film, the title of which means a�?to have attitudea��, a word that Kapoor has mouthed in nearly all his previous films (Ishaaqzade, Gunday), barring Finding Fanny in which he played a Goan. How the son of producer Boney Kapoor, who has displayed neither commendable talent nor drop-dead good looks, has become a star is one of the anomalies that riddle Bollywood. 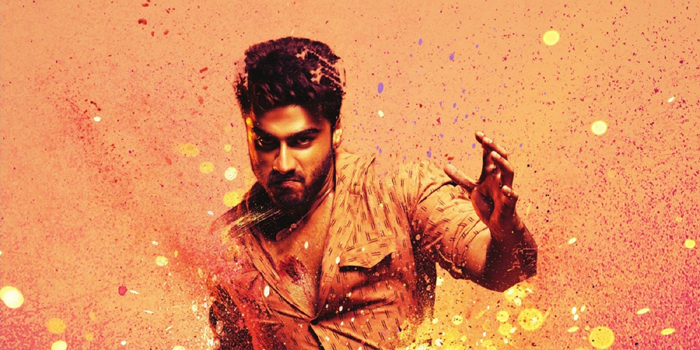 Tevar appears to be an old-fashioned action romance, a genre thata��s been struggling to find takers among audiences recently. Kapoor plays a kabaddi player who rescues Sinha from an evil goon who has set his sight on her.